While I made a big pile, all the time thinking I probably should have done this last fall even though I hauled bags of leaves out then, she decided to make a nest, feathering it with plumes from an ornamental grass and sticks. This was quite the project and she absolutely did have a vision for this. 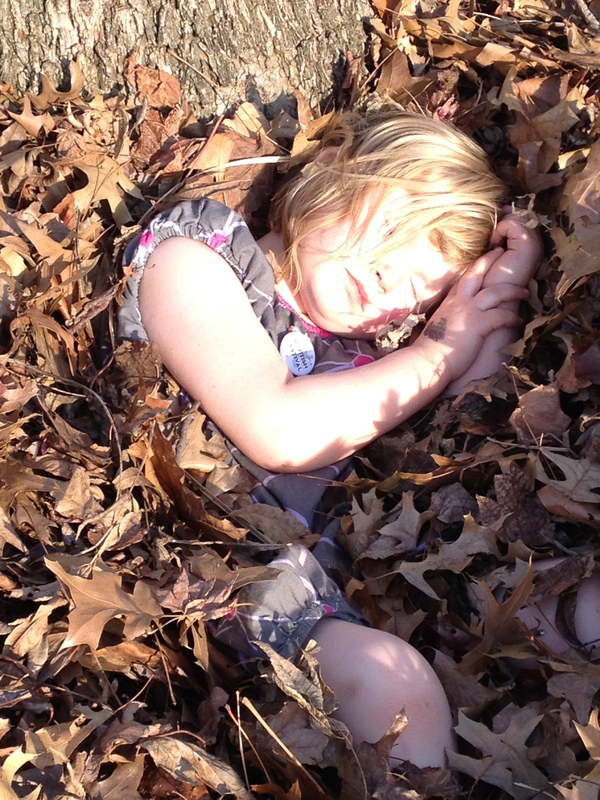 While I raked, she nested, finally taking a fake nap for my benefit. It’s ok that I didn’t get these raked last fall. We uncovered tulips about to bloom and made room for the other spring plants to reach out to the sun now that the temperatures are getting above freezing. 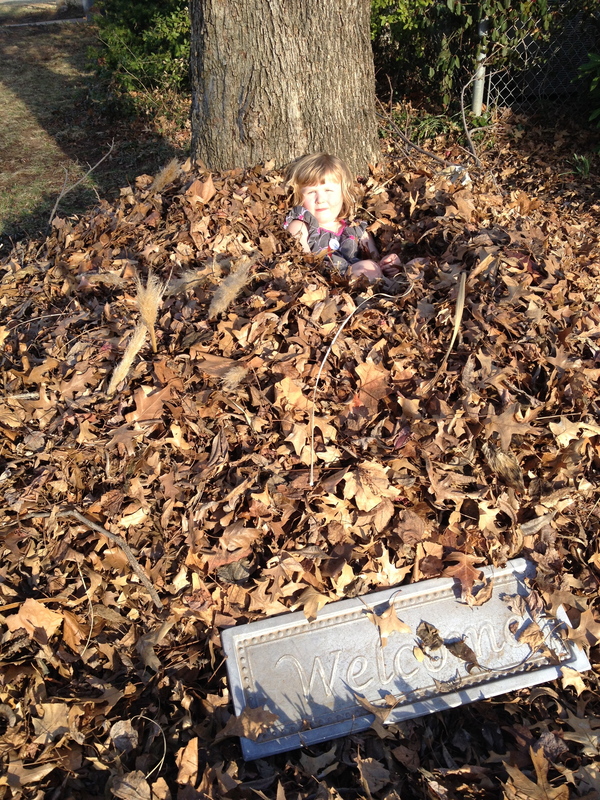 In the fall, she jumps in the piles. In the spring, she makes a nest. I wonder if that’s some primal instinct. 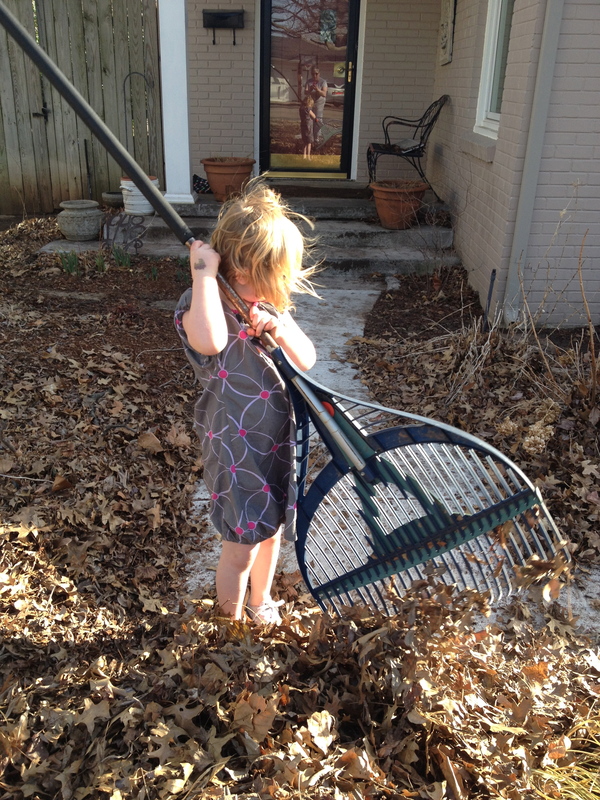 I was thinking about raking leaves when I was her age. We had a big brick incinerator in our back yard where we burned them. You can’t burn leaves in the city now, but the smell of those burning leaves stays with me. I do miss that smell, a smell of my childhood. We stirred up a lot with our leaf play. A lot of dust and smells, a lot of imagination, and a lot of memories.